Mr Ameer Muhammad Khan son of Mr Aziz Ahmad Khan was born on November 17, 1972 at Bhakkar. He graduated in 1994 from University of the Punjab, Lahore. He served as Member, District Council during 1998-99; and as Nazim, during 2000-02. 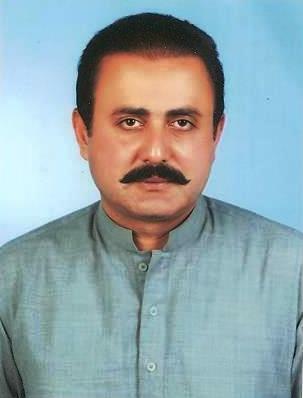 An agriculturist, who remained Member, Provincial Assembly of the Punjab during 2013-18 and has been re-elected as in general elections 2018. He has travelled to UK, UAE, Uzbikistan and Saudi Arabia. His father, served as Member, Punjab Assembly and functioned as Parliamentary Secretary for Excise & Taxation during 1988-90, and as Member, National Assembly during 1990-93. His uncle, Ahmad Hassan Khan remained Member of Punjab Assembly during 1993-96 and functioned as Advisor to Chief Minister; and his grandfather, Taj Muhammad Khan served as Member, Provincial Assembly of the Punjab during 1972-77, 1977 and 1985-88.